It’s always exciting to find new ways to boost your health naturally. 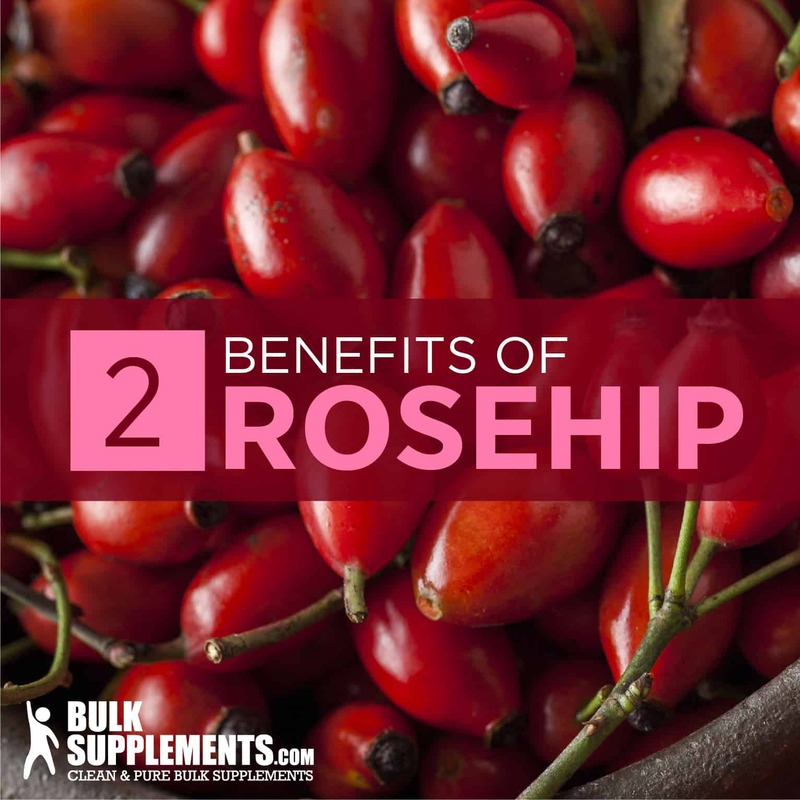 Recently, rosehip is yet another supplement that people are introducing into their health routines. Rosehip is the aggregate fruit of the rose plant. You may also see it referred to as rose hep or rose haw. The plant’s fruit looks like a cherry tomato and grows in a variety of colors, including red and even black. Rosehip plant can be found on rose shrubs all over the world — all rose species produce them. However, some rose species produce rosehips that are more concentrated in antioxidants, vitamins and polyphenols than others. Rosehip has been used in many different countries for generations as jams and jellies, teas, soups and bread. The fruit can be eaten raw, but its tiny hairs inside make it rather unpalatable. In fact, those tiny hairs are even used as itching powder! Researchers worldwide, especially in Scandinavian countries, have been working to understand just how rosehip can benefit the human body. Studies have been conducted and the results are showing that it has a plethora of benefits. Rosehip is available in many forms, including powder and oil. It is also common to add it to foods and drink. Rosehip powder is the most common and easiest to use. Like many other natural plants and herbs, it is used to combat a variety of conditions as a safer alternative to chemical pharmaceuticals. It seems that everyone is looking for more natural ways to aid their bodies and encourage health and wellness. Frustrated by the harsh side effects, whether short or long-term, many people are turning to herbal supplements instead of pharmaceuticals (x). Rosehip powder is gaining traction as another tool in the fight against processed foods, contamination of food and beverages and over-medication. Rosehip powder is created through a specialized process of drying the aggregate fruit of the rose plants. Once dried, rosehip fruit is ground into a fine powder that can then be used as a supplement. Rosehip contains important antioxidants that help with maintaining health at a cellular level, providing disease prevention and treatment (x). It also contains a high content of polyphenols, vitamins C, E and B. The carotenoids in rosehip include beta-carotene, lutein, zeaxanthin and lycopene. Additionally, it is a great source of unsaturated fatty acids (x). Rosehip has been shown to prevent tumors and fight cancer growth (x). More specifically, research suggests the rosehip plant as a natural functional food in the treatment of colon cancer. It even reduces bone loss in osteoporosis (x). Rosehip contains more Vitamin C than citrus fruits, which is a major booster for the immune system. Vitamin C, of course, is very important for the prevention of common cold and flu viruses. Because of this, it is especially helpful in the treatment of inflammatory disorders. Some have a difficult time tolerating highly acidic citrus fruits, which makes rosehip powder a great way to boost their vitamin C intake. Rosehip may also help treat intestinal problems such as constipation, nausea and excess acid. In addition to boosting the immune systems and treating intestinal discomfort, rosehip has been linked to addressing gallbladder, kidney and urinary tract disorders (x). Due to the antioxidants and vitamin E, rosehip has also been known to reduce blood sugar similarly to other type 2 diabetes therapies. The vitamins A and C combined with flavonoids present in rosehip has also been shown to ameliorate epileptic convulsions (x). Studies have shown that the rosehip plant has a great effect on decreasing abdominal fat and inhibiting weight gain when used daily. The rosehip plant can also help prevent heart disease by lowering blood pressure and cholesterol. Rosehip can help with all of this, but researchers are most interested in its ability to help those with osteoarthritis. Researchers have found that people suffering from osteoarthritis can see reduced inflammation after four weeks of daily use (x). The reduction in inflammation also leads to alleviated pain as well as improved quality of sleep and mood. Even those that have suffered from osteoarthritis for a number of years have enjoyed reduced joint pain and increased joint mobility, especially in the hip joints (x). Another benefit of rosehip is that it helps the circulation of blood throughout your arms and legs. It may even aid in the treatment of Alzheimer’s and depression while also serving as an anti-aging solution. And thanks to the phytochemicals present in rosehip, it can improve the overall quality-of-life of consumers (x). Anything new that you introduce to your diet has the potential to cause side effects. Everyone’s bodies react differently to different substances, and rosehip powder is no different. While most people don’t experience side effects (and even those that do only experience mild side effects), it’s always a good idea to be aware of what those potential side effects might be. Side effects of rosehip powder can include vomiting, nausea, heartburn, stomach cramps and sleeplessness. However, in most studies, these effects were not significant enough for the participants to withdraw from the study (x). The Rugosin E in rosehip powder can affect blood’s ability to clot and slow the blood clotting process. Therefore those who have blood clotting disorders or are taking blood thinners should use caution when consuming rosehip. Many are able to replace NSAID (nonsteroidal anti-inflammatory drugs) use with rosehip powder as, for most people, it doesn’t seem to affect blood thinning as much as NSAIDs do. Additionally, NSAIDs can cause more stomach irritation and ulcers, whereas rosehip powder tends to be gentler on the stomach. Rosehip can also cause a diuretic effect and cause too much lithium to remain in the system. If you experience side effects, try lowering the dosage until you become acclimated to rosehip powder. Most people don’t experience significant side effects. If you’re concerned about how it might affect a specific condition or medication, talk with your doctor or begin with a smaller dosage. You should always keep your doctor informed when adding supplements to your routine. The recommended dosage of rosehip powder is 1,000 mg (or ½ teaspoon), which should be taken twice a day with food. Add it to food or beverages to consume. You can also add it to beauty products for your skin to reap added benefits. Give it a minimum of three weeks to notice the results, especially if using rosehip as a treatment for arthritis. It can take time for the body to heal the inflammation and reduce pain. Rosehip can be beneficial in treating a number of ailments as well as boosting immunity against cold and flu viruses. The antioxidants fight free radicals in the body to boost overall health and wellness. Rosehip works as an anti-inflammatory and can be helpful in treating both osteoarthritis and rheumatoid arthritis pain and stiffness. 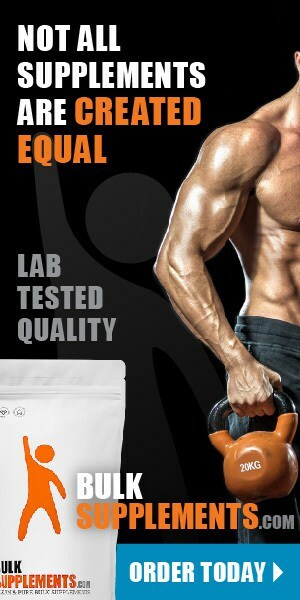 It can also help inhibit weight gain and increase fat loss from the abdominal area. 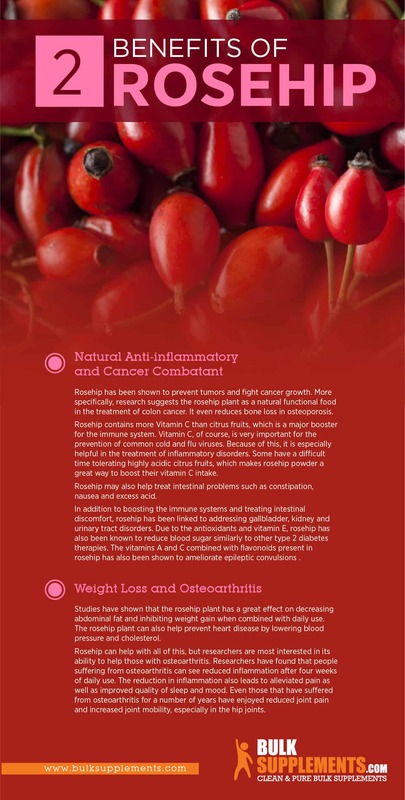 Rosehip is full of nutrients such as vitamins C, E and B, as well as carotenoids and polyphenols. All of these nutrients are important for your overall health and keep the body working its best all the way down to the cells. Your health begins at the cellular level, so it’s important to give those mighty cells all the help necessary as our bodies constantly fight off toxins, pollutants, bacteria and viruses. Too many pharmaceuticals have serious side effects that cause you to weigh the validity of their use. Rosehip, however, treats many ailments without those scary side effects. Rosehip uses are vast, from adding powder to consumables to adding oil to lotions. Adding rosehip powder to foods or beverages is the best way to use this very beneficial supplement. For example, do you enjoy yogurt in the morning for breakfast? Add the rosehip powder to your yogurt before topping with nuts and berries for an early boost to your day! You can add it to ice cream for an exotic boost, too. Rosehip powder’s subtle floral flavor would pair well with a rich vanilla ice cream or honey almond. Play with flavors and find what you like. Do you often enjoy smoothies? Add rosehip powder to your smoothie for another boost of nutrients! What about natural fruit juices? You’re already enjoying the nature’s benefits to begin with, so adding rosehip powder into fruit juice seems like a no-brainer. However, possibly the best option is adding rosehip powder to hot teas — especially white or herbal teas. Many teas have nutritional benefits as it is, but adding rosehip powder will make your hot tea that much better while adding a subtle floral flavor. Rosehip powder can even be used as part of your beauty routine. It is great for skin because it stimulates collagen production. If you like making your own soap, add rosehip powder and gain the anti-aging benefits for your skin. You can even add it to lotions, oils and masks. As you can tell, rosehip powder has many uses, so the only limit is your own creativity! Rosehip powder has been shown repeatedly to have numerous health benefits. Because it has so many different uses, it has gained wide appeal among herbalists, especially when used as an additive for foods and drinks. From the rosehip plant’s anti-inflammatory properties to the anti-cancer agents, it is sure to add many benefits to your health and wellness routine. Add it to your hot teas or your morning yogurt to get your daily dosage, but also feel free to add it to your beauty products as well to give your skin a boost. With all of the benefits of rosehip powder, isn’t it time to give it a try?